Spain has plenty in store for visitors, and it’s no surprise that it’s one of the most popular tourist spots on the European continent. If you have ever been to Spain, you will readily agree that it’s one of the most beautiful countries in the Mediterranean, and it boasts sunny, temperate climes almost the whole year round. But what else makes Spain so special, and why should you even consider living there? Whether you’re looking to move to Spain for a job opportunity, are planning to live somewhere else when you retire or are merely looking to change your environment for a few years, Spain will always be an excellent choice. 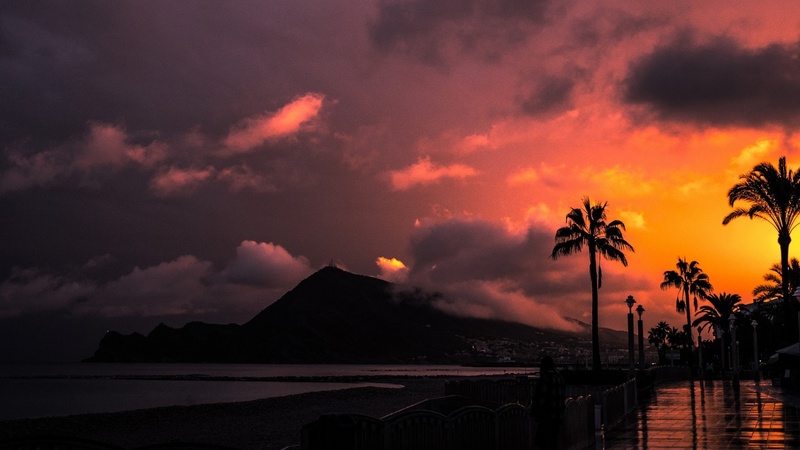 Here are the top reasons why you should live in sunny Spain. The Spanish diet is remarkably healthy, with its abundance of olive oil, fresh tomatoes and other vegetables, olives, seafood, and meat. Spanish cuisine is comprised of tapas and paellas and hams that are sure to whet your appetite, but the Spanish people are still some of the healthiest in the world. There may be different reasons for this, but you definitely can’t go wrong with the Spanish diet. Did we mention the wonderful seafood yet? Oh, yes, we did – and you’ll be happy to know that the cost of typical Spanish fare is not so exorbitant, either. Anyone can dine well in Spain. The Spanish lifestyle is unique in that people love spending time together. Be it a family gathering or a tête-à-tête with friends, Spanish people love to socialise. And when people socialise, expect lots of food and drink as well. You will hardly be on your own in Spain – there’s sure to be a friendly face at almost every turn, and since there are now more British expats and retirees in many parts of Spain, you’re guaranteed not to be too homesick, either. Since the weather is generally good, expect to spend a lot of your time outdoors – whether you’re just walking around and taking in the neighbourhood, eating al fresco in a restaurant, enjoying the beach, spending time in a park, or going for a run along the shore. All the time spent outdoors can no doubt serve you well. And in the Costa regions, sunlight is expected an average of 320 days every year, so you will definitely have your share of sunshine. Compare this to the dreary British weather, and you’ll be in heaven just because of the pleasant warm climate. When you live in Spain, as mentioned, it’s relatively easy to enjoy yourself and delight your palate. The cost of living isn’t as far removed from the UK, but when you factor in the better quality of life and the better lifestyle, you come out winning. Also, the cost of property in Spain is noticeably lower than that in the UK – in fact, you can get a luxurious villa with a pool for very reasonable prices compared to those in the UK, as confirmed by the Moraira property specialists from www.watkinswilson.com. And to add frosting to the cake, the wine, beer, and alcohol are less expensive in Spain, too. I started Vanilla Mist as a hobby and to be completely honest with you, I really had no idea what I was doing at the time. I just wanted to share my creations with others and inspire people.